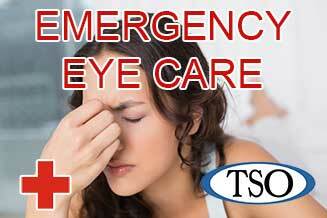 Please walk-in to TSO Fall Creek with red eyes, pink eye, or scratched eyes for immediate attention in Humble, TX. At TSO Fall Creek, Dr. Alexander Chen O.D. understands that every person is unique and possesses different eye care needs. Dr. Chen is a therapeutic optometrist and optometric glaucoma specialist with experience caring for patients of all ages. Whether you need a routine eye exam, frames or contact lenses prescription, or follow-up care after LASIK or cataract surgery, we are able to cater our services to your needs. Equipped with cutting-edge technology and along with a professional and knowledgeable staff, Dr. Chen is committed to providing you with the best eye care experience possible. The staff were super friendly. A very thorough assessment was performed on my eyes to determine peripheral vision, prescription, and dilation. With dilation my eye was looked at from all angles to ensure eyeball health and and note any variances in my prescription. I’ve required glasses my entire life but not very compliant because of the weight of my lenses caused tension headaches if worn too long. My eyesight is very poor. They listened to my concerns and helped my find a lens that would eliminate the problem. Even offered to divide my payment in half so that I would not have to compromise on lens or frames. I am thankful to have encountered this location for my eyeglass needs. Great service. Dr. Chen and his staff are very friendly. Never once have I had a issue. I have been seeing Dr. Chen for at least 5 years now. He has been nothing short of amazing. He is very through and explains the process and results in a way that can make you understand. The front staff is friendly and will help in any they can. Great experience from setting an appointment to post-exam. All personnel were approachable, courteous, and professional. 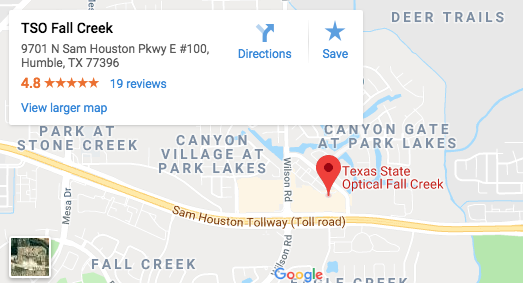 Our optometrist serves the Humble, TX and the Fall Creek area. With exceptional technology and experience, our eye exams are both cutting edge and affordable. 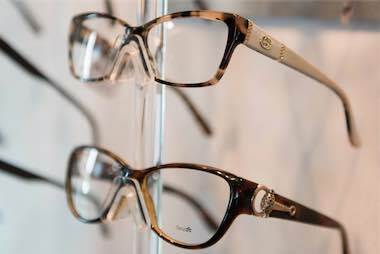 We also supply exclusive eyeglass frames and a large selection of premium optical lenses and contact lenses. 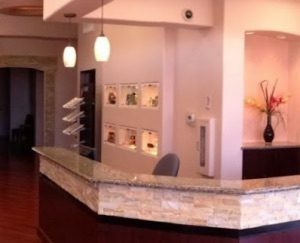 Dr. Chen and his staff pride themselves on optimizing patients’ vision through providing caring and convenient services in a comfortable environment. They look forward to building lasting relationships with their patients, so you can be assured that you will be treated like family. Please schedule an appointment, and let Dr. Chen be your comprehensive eye care provider today! It’s cloudy and rainy outside. Do I really need to wear my sunglasses in the winter? Definitely Even on cloudy days the danger from UV rays is still present and your eyes need to be protected. This is especially true if you participate in winter sports, because snow reflects even greater levels of Ultra-violet rays to your eyes. Stay safe by wearing only quality sunglasses with 100%UV protection and if you feel that you eyes are irritated because of exposure to UV rays call our office for an appointment.